Great video Nick and DSar – 10 stars for me. Great sound track for this video…which is awesome by the way! Really brought back memories of our journey through the desert in India on our first trip. We’re just bringing back memories left, right and center for you, eh?! 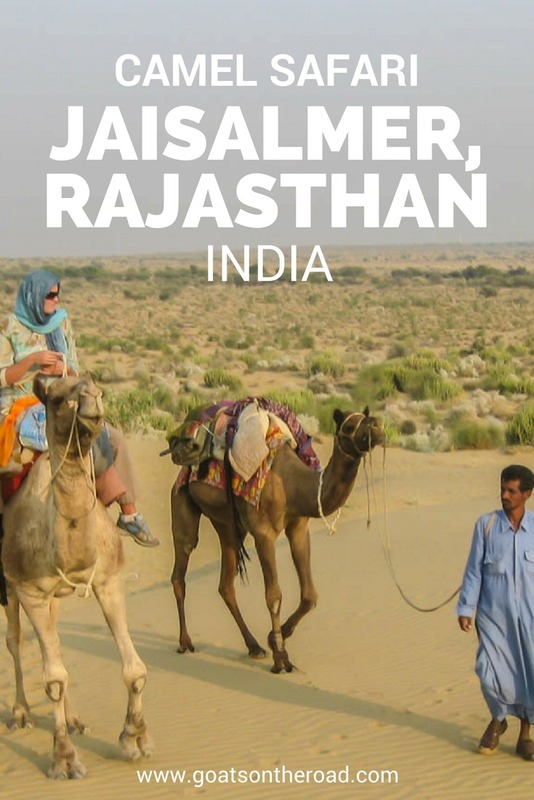 We LOVE Rajasthan and doing the camel safari was (and still is) a huge highlight of ours. Cheers! Thanks Toni and Charlie! Sorry it took us a while to reply, we’re just working out some kinks in this comment platform! We appreciate the kind words… we’ll be making many more videos soon! Hi Nick & Dariece, thank you for uploading this awesome video of a camel safari in Rajasthan! I am travelling to India as a young solo female and would love to go on a camel safari like the one you guys did, but I have concerns about doing one on my own… have you any advice or recommendations for a girl in my situation? As a solo woman anywhere in the world, I wouldn’t recommend venturing off into the desert with just you and another strange man! I would recommend that you meet up with other travellers and a group of you (or at least one more person) set off on safari. We had a great time. Try to meet your guide beforehand if you can. I am planning a month in India and would like to know which camel safari you took. I understand how many messages you must get everyday, thank you in advance. I am planning my trip to India for next January. Could you tell me which desert safari company you took?